Welcome to Willow Heights Condo Assoc. Thank you for visiting our WEBSITE. We hope you find this useful. Within this site will will find information on our parking rules, news updates and important information about our community. ALL BOARD MEETINGS ARE HELD IN THE CLUBHOUSE STARTING AT 7:00 P.M.
NO LAUNDRY IS TO BE DONE AFTER 11:00 P.M.
Due to too many non-current residents and abuse of our parking policy. WE WILL BE INTRODUCING NEW PARKING STICKERS FOR ALL RESIDENTS. ALL NEW STICKERS WILL HAVE TO BE DISPLAYED BY MARY 15, 2015. IN ORDER TO RECIEVE A NEW PARKING STICKER YOU WILL HAVE TO BE CURRENT IN YOUR ASSESSMENTS. IF YOU ARE NOT CURRENT YOU WILL BE ISSUED A TEMPARY STICKER FOR ONE MONTH UNTIL YOUR ACCOUNT IS CURRENT. IN ORDER TO GET A TEMPARY STICKER YOU MUST BE ON A PAYMENT PLAN AND STAY CURRENT ON THAT PAYMENT PLAN OTHERWISE YOUR PARKING PASS WILL BE SUSPENDED UNTIL YOUR ACCOUNT IS CURRENT. *ALL RENTERS WILL NEED TO PROVIDE A COPY OF YOUR LEASE. 3 Bedroom - 6 cars. NOTE: One sticker for each license driver per car will be provided. There have been a lot of misuse of our parking policy and there have been issues with no parking spaces for residents late at night. 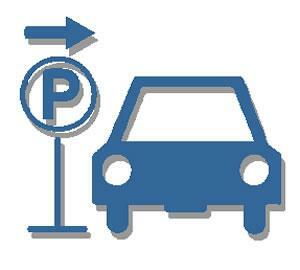 EACH NEW PARKING STICKER WILL COST $2.00 MAKE CHECK OR MONEY ORDER PAYABLE TO WILLOW HEIGHTS CONDO. ASSOC.